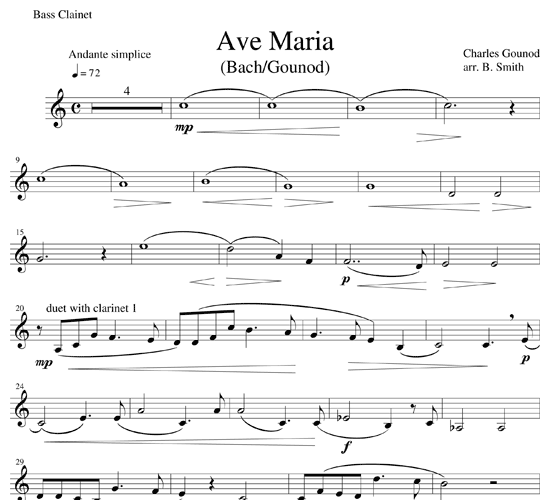 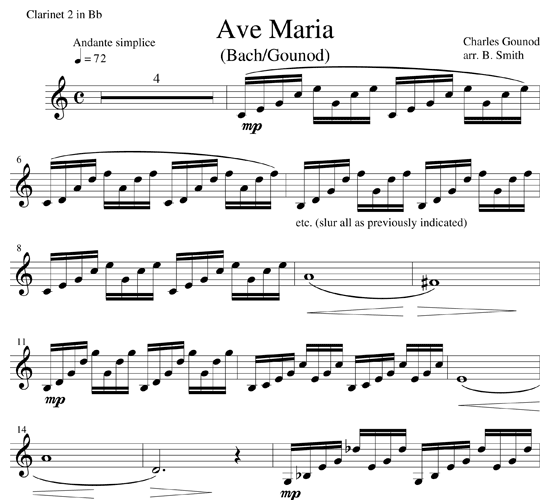 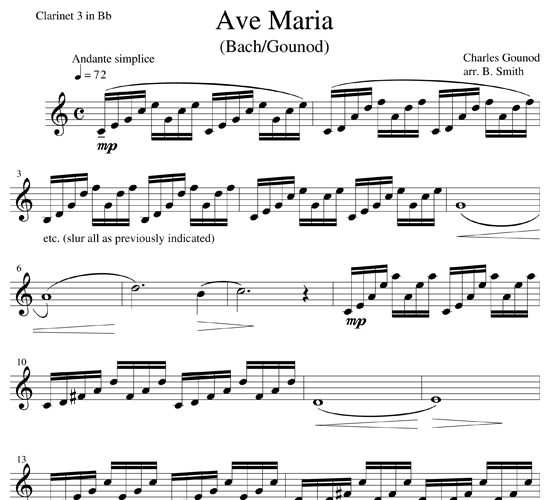 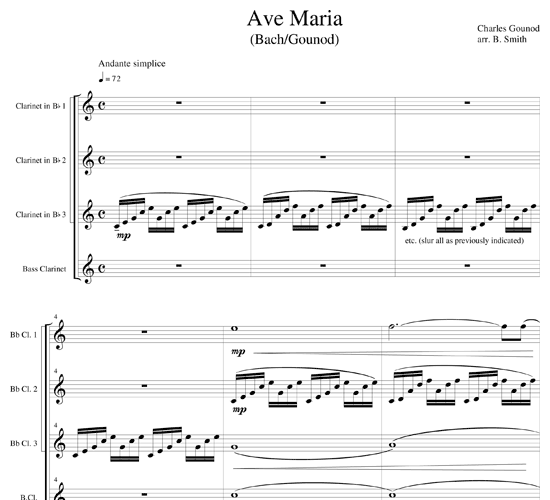 More than 100 years after Bach wrote The Well-Tempered Clavier, Gounod wrote his famous “Ave Maria” melody using Bach’s Preludium Number 1 as an accompaniment figure. 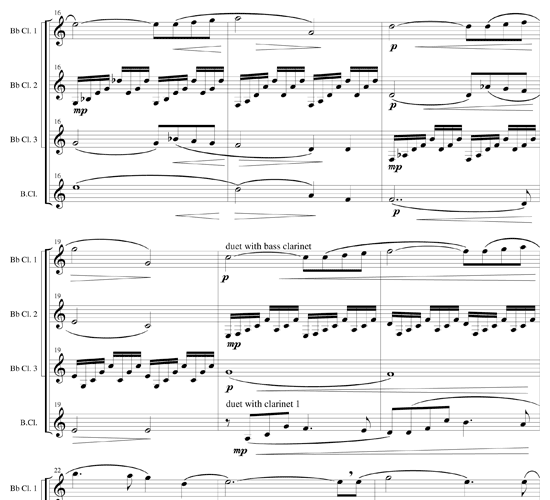 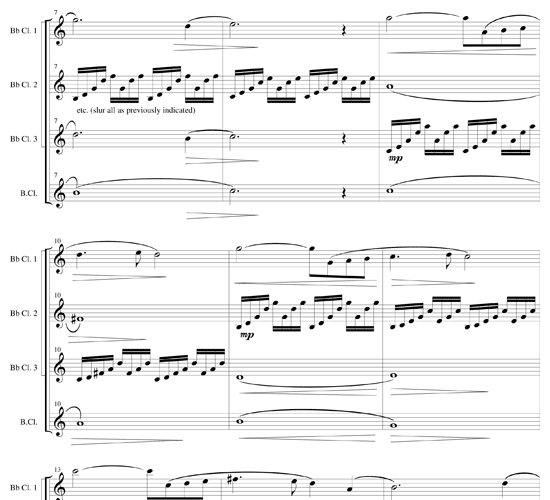 In this clarinet quartet arrangement, the second and third clarinets trade off four measure segments of Bach’s Preludium, while the first clarinet plays Gounod’s melody. 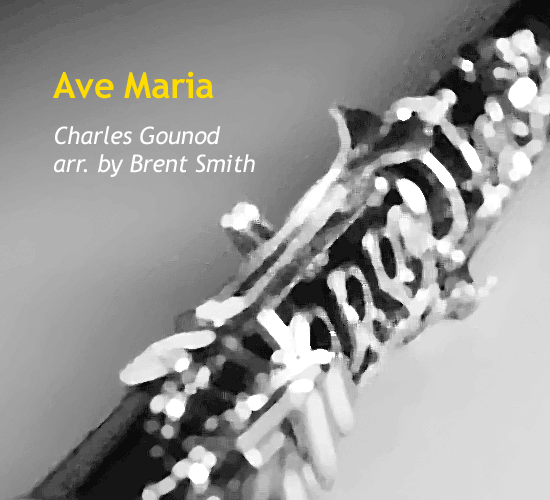 The bass clarinet provides accompaniment as well as a beautiful duet with the first clarinet. 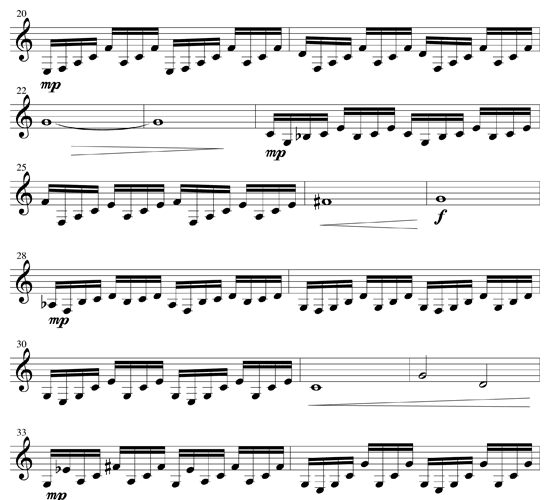 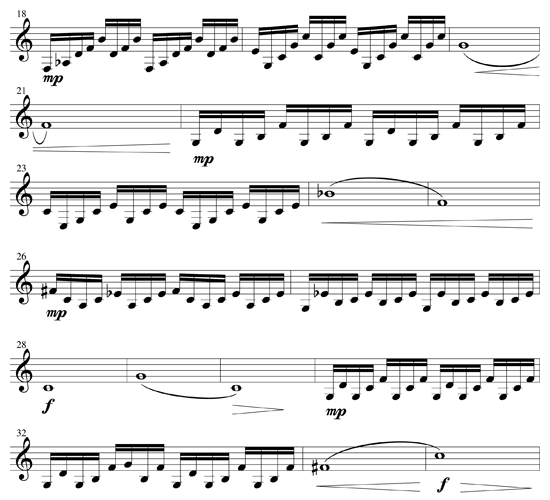 The piece is easy to understand and the parts in this arrangement are easily playable, with only three notes above “high C” (all in the first clarinet), and no complex rhythms beyond simple 16th note figures. 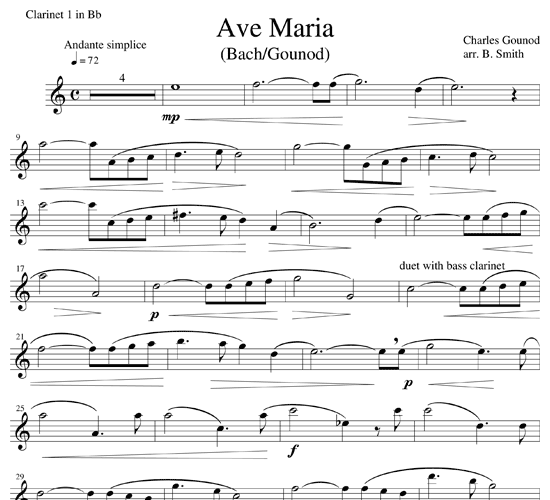 This is a simple and useful chamber piece for weddings and many other occasions.